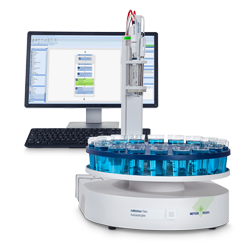 User-friendly and intuitive single and multi-channel instruments for highest precision and solid compliance. Single and dual channel portable pH meters that are robust and ergonomic. 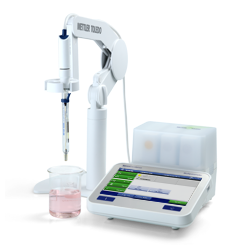 Perfectly suited for mobile pH applications in the laboratory, at-line and in the field. High quality sensors covering a range of applications and measurement parameters including pH, ORP, conductivity, ion concentration and dissolved oxygen. Calibration, verification and maintenance solutions to ensure high measurement precision and uptime. Software and Automation solutions for higher productivity, more reliable results and solid compliance. Peripherals to support your workflow - ergonomic electrode holder, magnetic stirrer, parameter expansion modules, printer, barcode reader and more. 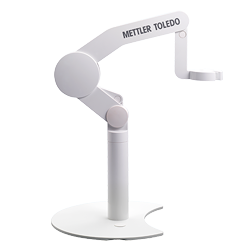 The METTLER TOLEDO pH Competence and Support Center (pH CSC) comprises a team of experts in direct electrochemical analysis. 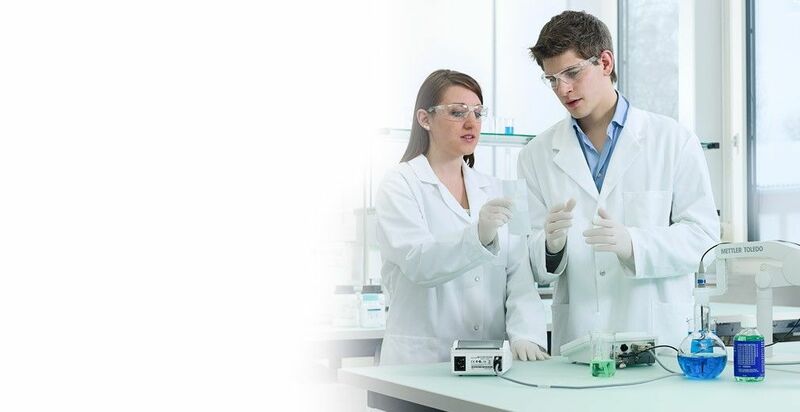 Due to the team's close contact with customers, technical support, product management and product development, quick advice and effective solutions can be provided, making this service rather unique in the world of pH analysis. pH is a scale used to specify the acidity or alkalinity of aqueous solutions. The pH value correlates with the concentration (or to be more precise: with activity) of hydrogen ions. Solutions with a pH less than 7 are acidic (high concentration of hydrogen ions) and solutions with a pH greater than 7 are basic (low concentration of hydrogen ions). What equipment do I need for a pH measurement? 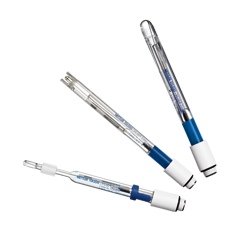 A pH meter capable of measuring a potential in the range of -500 to 500 mV that is transformed into a pH value. For the sake of temperature compensation, an input for a temperature sensor is needed or at least the possibility to enter the temperature manually. A pH sensor consisting of two half cells, a measurement cell and a reference cell, which are normally combined in one shaft (combined pH sensor). The sensor should be selected carefully so as to match your needs. Alternatively, a built-in temperature sensor might be needed (3-in-1 pH sensor). Sensors without a fixed cable will need the appropriate one to connect to the meter. 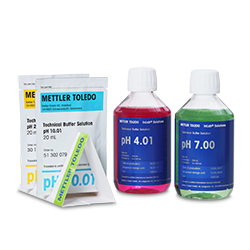 A minimum of two pH calibration buffers is vital. The pH values of the buffers should not differ in less than 2 and more than 3 pH units from each other and cover the whole pH measuring range of your samples. E.g. : for samples in the range of pH 5 to 9, three buffers pH 4.01, pH 7.00 and pH 9.21 (or pH 10) are needed. Should I have a dedicated or multi-parameter instrument? This depends on your application. Dedicated single channel meters can be used to measure one parameter like pH, ORP, ion concentration, conductivity or dissolved oxygen). Multi-parameter instruments allow you to measure more than one parameter at the same workplace. 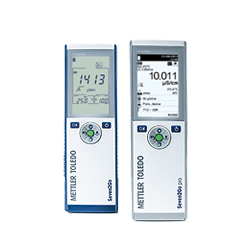 Which options does METTLER TOLEDO offer for pH measurements? 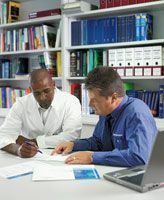 Whatever you need to measure, be it pH, ORP, ion concentration, conductivity or dissolved oxygen (DO, BOD), METTLER TOLEDO, with its years of experience, can provide you with the support you need. Our focus is on high quality products combined with simple, intuitive operation and ergonomic design. The comprehensive product portfolio covers the most varied electrochemical applications in all sectors and offers solutions both for complex applications subject to regulatory control as well as for simple routine measurements.